Superdry women’s Core Gym Tech panel joggers. These lightweight joggers have been designed with your ultimate comfort in mind and have been made to keep you cool and dry. 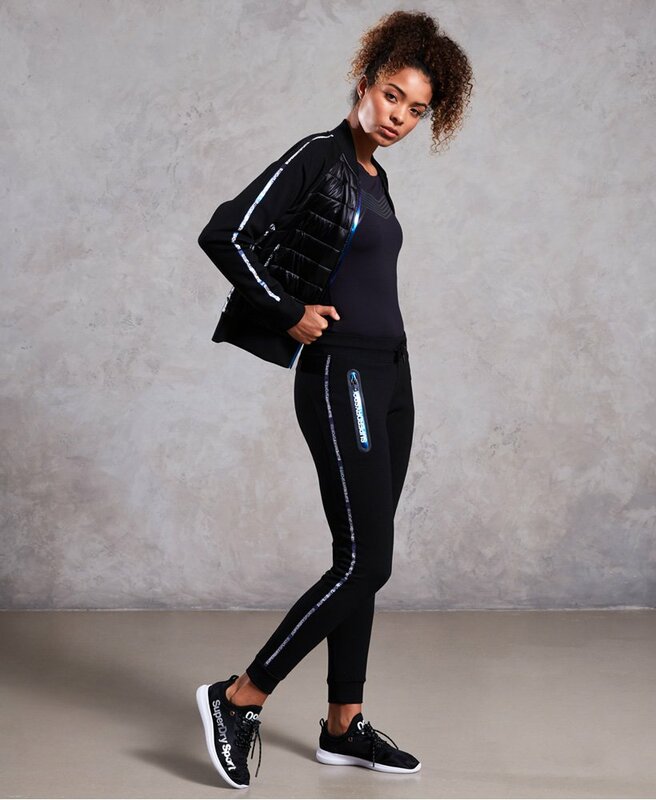 The cuffed joggers feature branded panelling down both sides, a drawcord adjustable waistband and two zip fastened, Superdry Sport branded front pockets. The Core Gym Tech panel joggers also feature ventilated panelling at the back of the legs and have been designed with innovative stretch technology to aid in even the most strenuous of workouts.